_: Miss J Makeup tutorial! 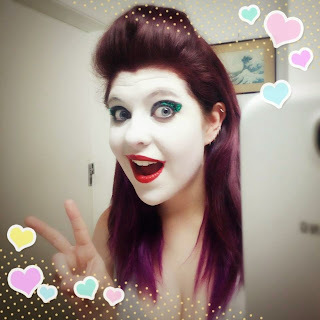 thought i'd do a little write up kind of tutorial thing on how i designed and decided on my make up for my female joker cosplay which i'm going to be wearing to Neko Nation Melbourne !! fiiiirrssstttt are the things you need for the tutorial in list form! 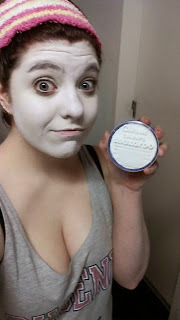 ONE) paint your face white ! I used snazaroo white body and face make up cake which i bought online and set with mac cosmetics transparent powder!!! If i had any sealing spray i would have applied this after this! TWO) With black eyeliner, line your water line and small amount underneath it. HERE IT IS IMPORTANT TO COVER UP YOUR ALREADY WHITE FACE AS BLACK EYESHADOW WILL FALL ONTO IT OTHERWISE. IF THIS HAPPENS YOU'RE MCFARKED. FOUR) carefully undo your glitter and start applying it in a straight line down the outside shape you created with the black eyeshadow! If you like you can leave it like that, OR, you can do as i decided which was add more glitter all over the lid! 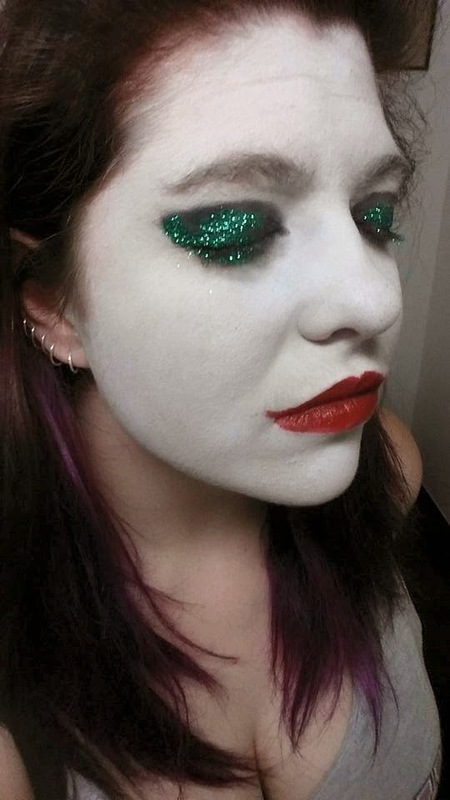 IT IS REALLY IMPORTANT THAT YOU USE A COSMETIC GLITTER BECAUSE YOUR EYES ARE A VERY DELICATE AREA AND YOU DON'T WANT TO HURT YOURSELF OR YOU SKIN! 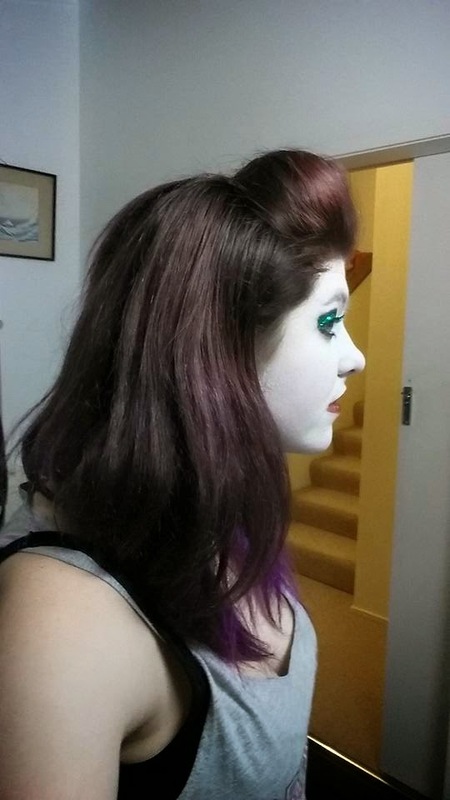 if you're spray painting your hair green try and match the shadow to the hairspray colour! if you wish to you can use a darker liner than your lipstick. SEVEN) go over your lined lips with a red lipstick of your chosen shade! i chose a very bright Jack Nicholson sort of shade! for my hair i will be getting some lime green hair extensions and placing those throughout my hair and throwing my front section up into a simple quiff! i've had a lot of practice with quiffs for cheerleading! i will be posting again in the future once i've gotten the entire costume together!!! good luck with your make up! comment a picture if you give it a shot!